I am new to Python(I am using Python2.6) and Pycharm, but I need to use MySQLdb module to complete my task. I spent time to search for some guides or tips and finally I go to here but does not found MySQLdb to install. Any help will be appreciated, thank you! then run the executable. It will look for your Python 2.7 path from Windows path and install this package/module. This will resolve your issue in Pycharm because Pycharm also looks into Window path for this package. 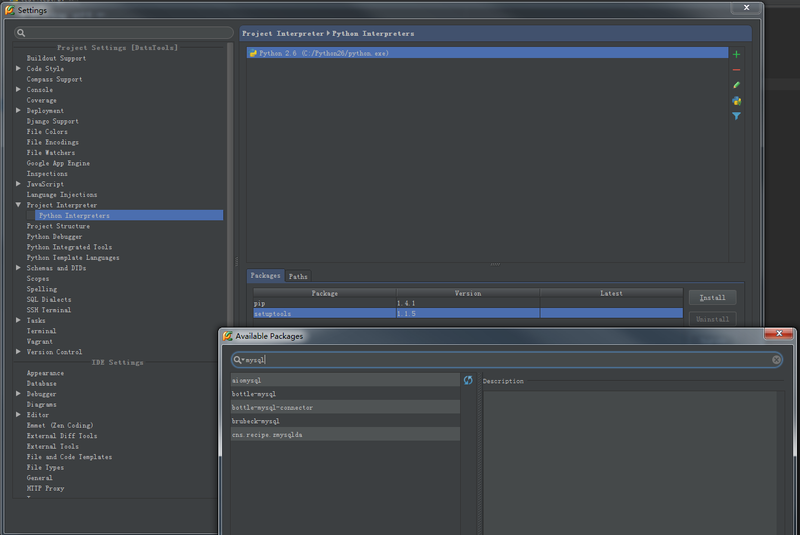 In Pycharm open file try import MySQLdb it will show available. or do command import MySQLdb in Pycharm terminal window, if you do not see ImportError then it is ready. Not the answer you're looking for? Browse other questions tagged python pycharm mysql-python or ask your own question.